My first income from the online world was generated from writing. It was a life changing experience that has given me freedom and allowed me to work from home. However, it wasn't easy. This is something I think many new freelance writers and bloggers experience. However, the only difference between those that make it and those that don't are the ones that make it don't give up. They take it, learn from it, and improve it. Once you establish that YOU are going to be one of the ones that make it, the biggest challenge in the process is figuring out where to start. It wasn't pretty at first, but I learned the process. From building a portfolio to pitching myself correctly to businesses, I learned a lot in my first 6 months of "trying to make it" and I'm here to share that information with you. Below I put together a list of places you can find freelance opportunities. 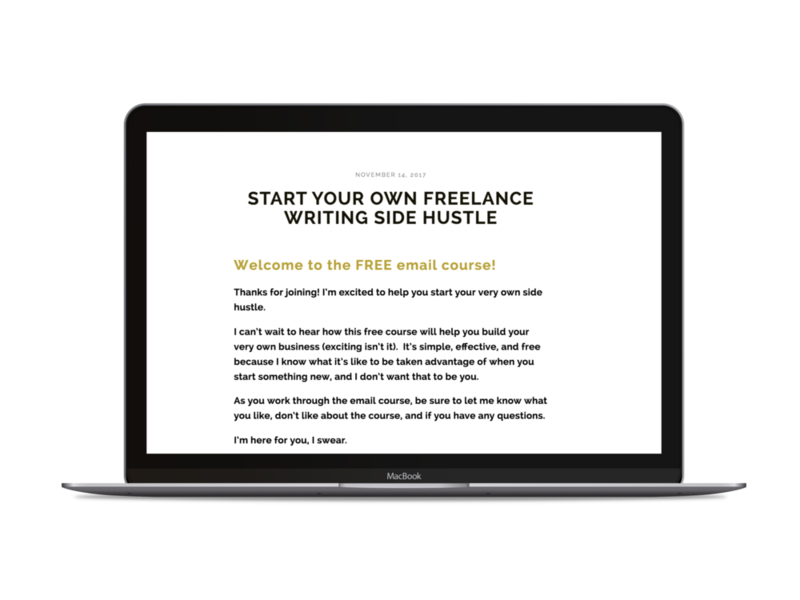 However, before you go crazy applying for writing jobs, you may also want to check out my guide to finding your first freelance client right here. Just like having a resume is important for a job application, having a portfolio is important for freelance writers. Below is what you should have in your "toolkit" before you begin. A blog: Your blog will be your portfolio. It's the easiest and most beneficial way to build your brand and show off your skills. A portfolio will include your own blog posts, examples of digital published work, and a brief overview of yourself and your skills. This is also your resume/cv. A niche: It's better to be an expert in something than being simply OK at everything. Try to figure out where you would like to focus and put your energy there. SEO and copyright skills: To be a successful freelancer, you are going to have to learn how to drive traffic. I have a blog post all about SEO that you can read here. Some serious guts: Learning to put yourself out there and pitch yourself to companies is a challenge. Are you worried about your insecurities (we have ALL had them)? You are going to have to learn to push through them. You will be let down and criticized. However, the more you experience failure, the easier pitching, promoting, and growing will become. Time and consistency: Those who make it are those who are willing to make mistakes, adapt, and stick with it. This takes time. After you understand these important variables you can take the next step: start finding the right jobs. The first group of opportunity comes from job boards. These are easier than cold pitching and more flexible than content mills. In fact, they are actually similar to traditional job searching: you look at ads and apply to them. However, not all job boards are created the same. Below are my favorites. These are free and easy to use for any new writer. I also have an entire article on job boards you can find right here. Problogger is by far my favorite freelance writing board. It does a fantastic job board displaying relevant information and quality opportunities. No membership needed, no complicated sign-up stipulations, and no redirecting you to an irrelevant job site. In fact, you can apply right on the platform for many of them. It not only shows you available projects but often times shows the pay. This helps you decide if it's worth your time or not. Not to mention, the site is completely loaded with fantastic advice for every writer aspiring to go full-time in the writing and blogging community. My next job board of recommendation is FreelanceWriting.com. It pulls from different sources to provide endless writing opportunities. However, it also has a long list of jobs for any freelancer, whether it be in social media or design. It shows the price, doesn't require a membership, and also provides beneficial resources to help you on your journey. It's very similar to ProBlogger, but often times offers different opportunities. It provides "no strings attached" opportunities and is completely free. You can search for jobs by keyword, category, and type. It's easy to use and apply. I recommend checking out all three (ProBlogger, FreelanceWriter, and BloggingPro) when you start applying to jobs! My "highest quality" freelance jobs have happened thanks to cold pitching. If you aren't familiar with cold pitching, it's when you "pitch" your services to a company that is not actively seeking to hire. The word "pitch" means you are writing to them, describing how your skillset can help them accomplish their goals (even if they don't know what those goals are yet. You will fill them in on that too). This often leads to bigger and better opportunities. However, many people get hung up on where to start with cold pitching. If they do, then see what their content consists of and determine you can improve it. When you are cold pitching it's important to mention your skill set; however it's more important to mention how you can help them. Can you provide them with the following benefits? If they don't have one, pitch them the idea. 2. Are there any old ads? Businesses with older ads that can still be found across the web are perfect for cold pitching. In fact, I've taken contact numbers from these websites and pitched new and fresh ideas to them regarding what they wanted previously. When cold pitching, you need to collect contact information and knowledge on businesses you want to work with. Then, you reach out and let them know why they need. If you know your skill set can benefit them - let them know how! I know there is a large "anti-content mill" movement in the freelance world. However, don't let that deter you from using the right ones. Some might not pay as well as "cold pitching"; but some do, and they even bring the work TO YOU. Below are high paying content mills. They require you to apply and have a portfolio. However, the payout is high. Contently pays incredibly well, period. Many writers can get up to $1 per word if they want to. However, it isn't the easiest platform to gain clients with if you are new to blogging (or even experienced). Signing up for contently is quick and easy. However, be ready to provide examples (like on all of the high-end content mills here). If chosen, the pay is exceptional for any standard. There is tremendous competition and you have qualify. Even if you don't get accepted the first time, don't be afraid to try again. Scripted works similar to contently for the simple fact that the pay is high; but so is the competition.Therefore there is a fairly vigorous vetting process and writing samples are a must. Make sure when you apply that you have online published samples with your name in the byline. Once you are accepted you are rated based on your samples. The best work goes to the best writers first. However, you can keep climbing the ladder until you receive the first opportunity at the best paying jobs. I've used Clearvoice before and the average pay per 1,000 words tends to be roughly $100. However, some will be exceptionally higher. Clearvoice works by having you send an application with work samples to them. They then choose the jobs you can apply for. You will receive a notification in the email when they have jobs ready for you. When you do, be sure to apply within a given time period or the opportunity goes to someone else. Constant Content pays well. However, it also requires registration. To make the "cut" you are going to have to have advanced writing skills and an impressive portfolio. However, if you have been writing for a little while, I highly recommend you start applying here. Average pay is significantly higher then Upwork AND they help pair you with businesses in your expertise. 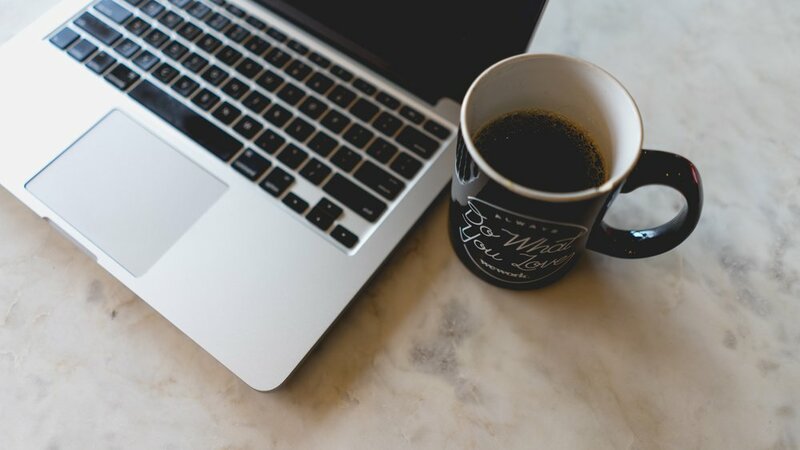 Sign up below for some of my greatest resources, traffic generators, and tips to kicking off your blog and business the right way. Facebook groups can be a fantastic way to connect with fellow freelancers, bloggers, and potential clients. This is one of the BEST ways to build a brand and meet people that will help you find work and conquer your goals. Do a search for freelance writing Facebook groups and ask to join. Most of them pass around opportunities weekly AND they answer your questions, give you motivation, and help you build your blog. What's not to like about that? Just remember, nothing is more important than having a quality profile. They need evidence that you can write. Once you have a reputable business and an impressive profile (meaning you have published work and a successful track record) LinkedIn can hand the opportunities to you. It's incredible. If you haven't already, sign up! Fill out your profile, connect with people and employers in your niche, add articles and show off your success. It's easy... and once it's complete it can do the work for you. Be ambitious and aggressive. Nobody is going to make this happen for you. It's up to you to get comfortable being uncomfortable, and ultimately chase what you want. You will get turned down, you will get criticized, and you will think about giving up. However, don't forget that the difference between those that make it and those that don't: the ones that keep going and keep getting better will succeed. Stick with it. If you have any questions or need encouragement, feel free to reach out to me anytime! I usually respond within 3 to 4 days.